Last year I heard people say Fabianski and Bendtner are not good enough for Arsenal and Walcott should be sold and ‘who’ is Szczesny? First I will tackle the goalkeeping issue. I know a decision cannot be made on a keeper after just a few games let alone just one but Fabianski has proved that he is a better keeper then everyone thought he was. He flapped often and made mistakes in nearly every game he played yet Mr Wenger has always remained confident in Fabianski and continuously said that the Fabianski in training is one we are yet to see. Since the WBA game, Fabianski has played in every game (apart from the Carling Cup) and has played well. I went into the issue of Fabianski in my previous post but I am using him as an example of someone who was not always supported but is trying to turn it around and is playing quite well of late. The goal keeping situation was the most debated subject during the summer and some fans wanted a keeper that was ready and some wanted a short term fix with Szczesny being the long term number one. Szczesny looked solid against Newcastle. He came for crosses and long balls and caught them well. He punched well and got good distance on them, something past keepers have not have done consistently. He stood tall and seemed like a presence in goal and made some good saves. The potential was certainly there and I will be VERY upset if we lose him next summer as his contract is up. If he is this good at the age of 20, imagine how good he can be at the age of 25! Theo Walcott is another player that people were getting frustrated with last season. Theo has always got support from fans however; the minority of fans were questioning his development and were questioning whether he will be the player we want him to be. He was left out the England World Cup squad for whatever reason but he has worked hard, kept fit and come back firing this season. He already has six goals and that’s despite being out injured for six weeks. Theo has frightened defenders with his pace and has developed his game this season and added goals. He can only get better and I for one am so pleased he has proved some doubters wrong this season with his fantastic performances. Finally, we come to Niko Bendtner. A man you either love or you hate. Even today, before his goal, some people tried to explain to me why he is not good enough for Arsenal, however, I disagree. Last season, if it was not for Bendtner, we may not be playing in the Champions league. The song about ‘Thursday night, channel five’ which we were singing at Man City fans may have been sung at us! The winner in the last minute against Wolves and Hull were vital, the goal at Stoke got us back in the game which we went on to win and he scored in many other games. 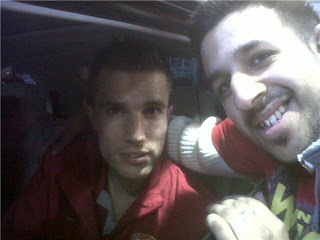 He even gave us hope at in Barcelona for a minute or two at least! When you play only one striker, you still need a total of three strikers but not all three are going to be the same. In Van Persie, Chamakh and Bendtner, we have three very different strikers. 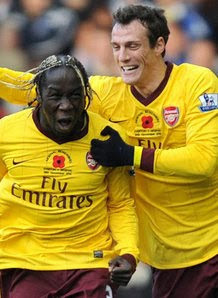 Chamakh and Bendtner are more similar but do differ slightly on the pitch. If you look at our third choice striker, if all three are fit (who you would assume is Bendtner at the moment) compared to others then you see how valuable he is. He scored more goals then most third choice strikers last season and you will never get a 30 goal striker as third choice because that striker will simply want to leave. I am not saying Bendtner will be a 30 goal a season striker but to win competitions, you need a squad and Bendtner is very much apart of that. Saying that, I believe Bendtner has the quality to be a 30 goal a season striker and be first choice if he works hard but at the moment he is still an asset to this club and I firmly believe that he will get better and better and give Chamakh and Van Persie a run for their money for game time. Once again, I stress, these are just my opinions. I am one to always support who ever plays and the whole squad certainly have my backing and also my faith and confidence in them as a whole. This has been a great week and we want it to carry on further on Saturday. Well, who would have thought it, a game in the Carling Cup is being talked about as one of the more important games of the week. Some have even told me they think this game is bigger then the game on Sunday in Manchester. I don’t quite agree that’s its more important but can accept that it’s just as important. The Carling Cup has been used for developing our younger players and giving them the needed experience so they can go on to play for the first team. Thierry Henry, Cesc Fabregas, Gael Clichy and Alex Song are just a few players that started in the Carling Cup and went on to be regulars in the first team. The policy in the Carling Cup may not have won us a trophy but it has won us success in terms of getting younger players to fulfil their potential and play in the first team. On the other hand, Jose’s Chelsea won the Carling Cup in his first season and that set the platform for further success. The same could be said about this team. 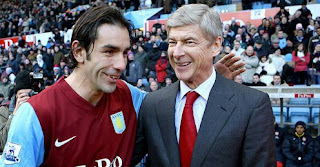 If they did win the Carling Cup, it could give them that much talked about ‘winning feeling’. 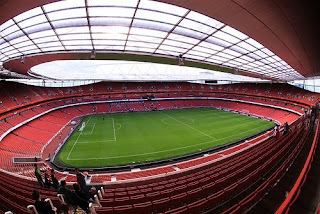 Szczesny, Eboue, Koscielny, Djourou, Gibbs, Denilson, Rosicky, Lansbury, Vela, Walcott and Bendtner. The Central midfield may need looking at but I think Lansbury deserves a game after such a good performance at the lane and with Walcott back and needing games, it may mean Lansbury plays in a different position then he did in the last round. I want to see Jay Emmanuel Thomas more too and have been told by youth team experts that he is a very good player and will be unlucky if he does not feature. It could be a big game for Szczesny as he has been requesting game time and here he may have it. With Fabianski playing really well and being odds on to carry on as number 1, Szczesny will surely get his chance on Wednesday night. Let’s get behind the team and get a positive result! Feel free to comment and tell me your predictions for the starting line up. Na Na Na Na Nasri, Sammy Nasri ! My day at the City of Manchester stadium started with me stepping out of our car and being called a rude word which starts with a W! A near by police officer asked me to just ignore it and I told him how ‘I am an Arsenal fan and we have more class and therefore I will not get sucked into insults like that’ and then just smiled at the city fan and found it all quite funny. 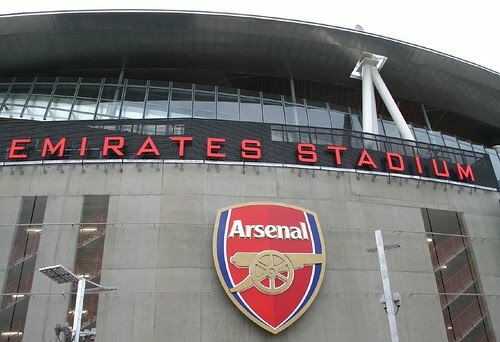 Entering the ground and I was greeted by many Arsenal fans singing and throwing beer and coke (cola, in case you are wondering!) around and just generally enjoying the day. 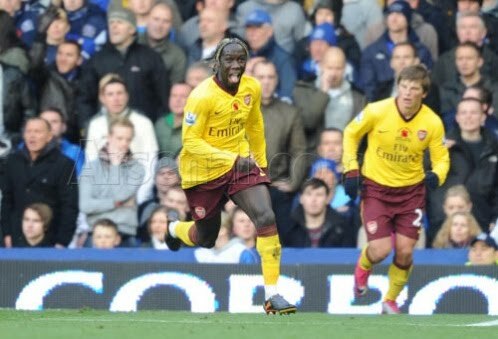 In terms of the game, the sending off perhaps helped us, but we cannot control what the other team do. We did not force him to make the tackle and therefore we can only do what we can do and in this occasion it was to play against ten men. We played well overall and apart from launching into a few tackles early on, we were solid all over the pitch. 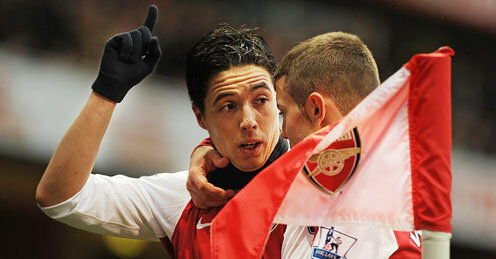 The Sammy Nasri chant is still ringing around in my ears and he is on fire right now. Missing the world cup clearly focused him and he has come back on another level. He had an outstanding pre-season and is carrying on that form now in the League and the Cup competitions. He can only get better, his vision, his passing ability and finishing is improving in every game. He is such an important part of the team at the moment and I am so excited to see him develop further. Sammy Nasri is certainly an away fans favourite at the moment and many of the home fans have not heard his new song yet. If your one of them, some fans have uploaded their clips from the City and Spurs game on YouTube and you can clearly hear the song being sung. A word for Fabianski too, he was outstanding at Eastlands. He produced, in my opinion a world class save to keep out David Silva in the second half and produce two other very good saves and one other but even though it was offside, it was a quality save as he did not know the game had stopped at the time. He came for crosses and long balls and collected them cleanly. 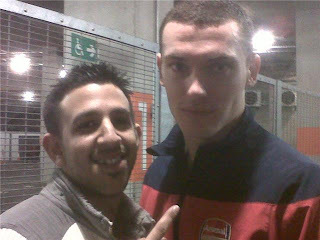 He will carry on in goal for us, even if Almunia is back. The result in general should give us a massive boast. To win away from home against a team who will be competing for the title will give every member of the squad some confidence and now its time for this team to push on. 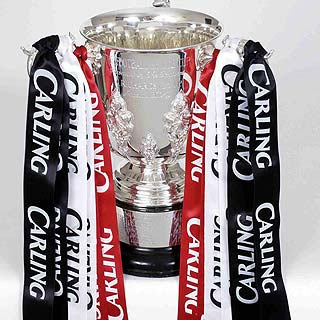 The Carling Cup is the first chance for silverware this season so the game on Wednesday night is massive. Mr Wenger said in his post match interview that he will play a strong team on Wednesday night so there’s every chance we can get a positive result and kick on further. 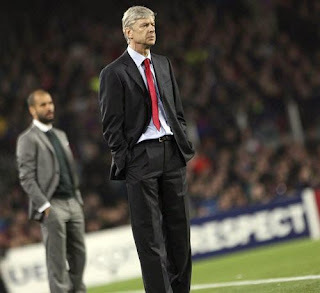 Today is Mr Arsene Wenger’s 61st birthday and even though he will keep celebrations low key, I am sure he will say that three points at City is what he really wants. He also hit the 800 games mark this week and personally, I am so pleased he is here. 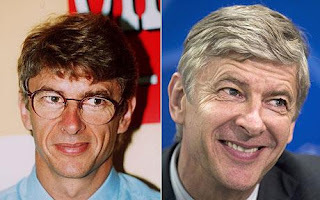 ‘Arsene who’ came here in 1996 as an unknown Frenchman and 3 Premier League’s and 4 FA Cup’s later, the man is still here. He may not be liked by certain managers but you look at the respect shown by Sir Alex Ferguson and you see how well respected Mr Wenger is in world football. Let’s not forget how Real Madrid has tried to sign him on a number of occasions. 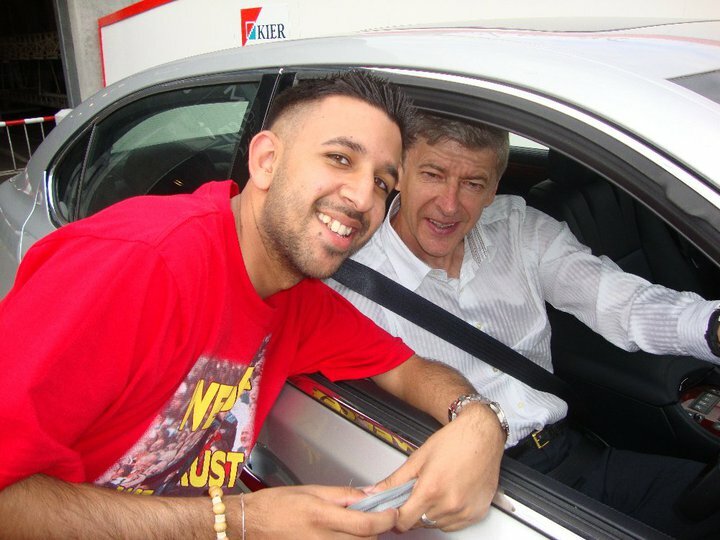 I hope we get to celebrate many more birthdays with Mr Wenger as Arsenal manager because in Arsene we well and truly trust. Arsenal have been hit by a massive blow that Thomas Vermaelen will remain on the sidelines for a while longer. Mr Wenger was speaking at Arsenal's annual AGM today and also added he does not know when Thomas will return. This for all of us, is very worrying. We all know that at times our estimates for injuries are not quite accurate but here we do not have even a possible date, not even a rough one, and that shows this injury is a bad one. No one will forget how Thomas Rosicky's injury was 'short term' and was said to be out for two weeks which turned into 18 months. We hope Thomas will return soon but i cannot see it being in the next month or so at least. Vermaelen who had a great first season will be missed greatly as he was seen to be the Senior head at the back and is even seen by many (including me) as a future Arsenal captain. My thoughts are with him and I hope he can return as soon as possible. Its finally happened! Akhil from Hounslow has got his own personalised blog! I am no longer writing for Bleacher report and will be posting all my blogs on this site. Before anything else, i would like to welcome you all to my site/blog and hope you will be returning as often as you can as i will be posting at least one blog a week. I would like to thank everyone who has supported me and gave me the encouragement to build my own blog. The Community on twitter who follow the Arsenal has certainly grew in the lat six months and so many people have supported me since i have joined and i am grateful. I would like to thank Dark Theory for helping me build the blog and you can follow him on twitter on www.twitter.com/darktheory . I will be blogging and writing articles on our beloved Arsenal football club. I attend every home game and go to as many as i can away from home. 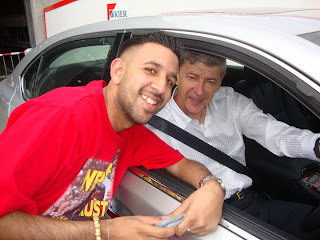 I follow the England Football Team too but mainly write about the Arsenal. 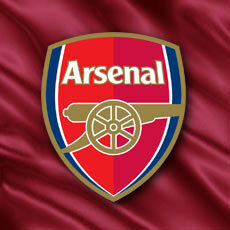 I am a regular on Arsenal TV Online's Fans Forum and like to support everything Arsenal TV Online do. DO catch Arsenal Live on Friday night at 7pm followed by the Fans Forum from 8.15pm. I have done some work with the Daily Mirror and ITV in the summer too and am chasing a dream!